It’s that time of the year when we finally dust off our barbeque hats and grills and move the fun outdoors! 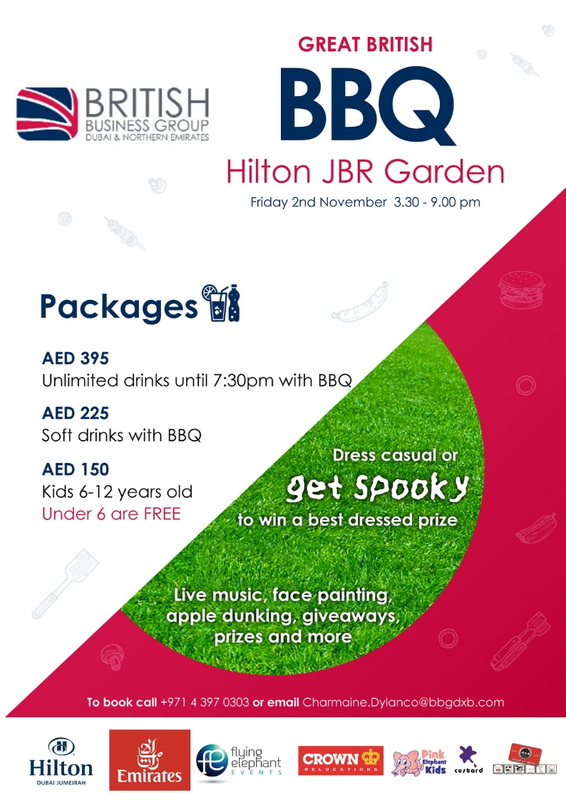 Our family-focused day out is a celebration of all things British including the obligatory bbq burgers and bangers, fish ‘n’ chips and more, generously catered by Hilton. You can wash it all down with quintessentially British beverages from the comfort of beanbags and picnic benches while you enjoy the mellow vibe courtesy of our live guitarist and DJ. To top it all off, Emirates Airline have provided a raffle prize of not one, but two return flights to Edinburgh along with a 3-night stay at a 5 star property and including airport transfers and breakfast!